Tanzania is home to a wide array of breathtaking, panoramic scenery. From enchanting savannah plains to alluring coasts with white-sand beaches and turquoise waters; no wonder it is such a popular destination for honeymooners. But why come here for the honeymoon alone, when you can actually take advantage of the truly exotic locations and set your nuptial apart from all others? 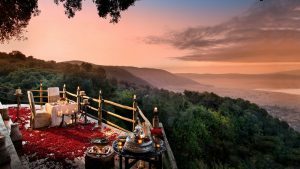 Plus, not only will a wedding in Tanzania be phenomenal, but it would also make an unforgettable, exotic and wildly romantic honeymoon destination! 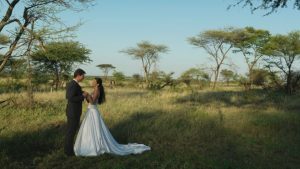 Whether you want to celebrate your special day barefoot on the beach or against the backdrop of a luxurious safari landscape with the wild animals cheering you two on in the distance, a destination wedding in Tanzania is sure to be a thrilling adventure that you and your partner can cherish for all time. 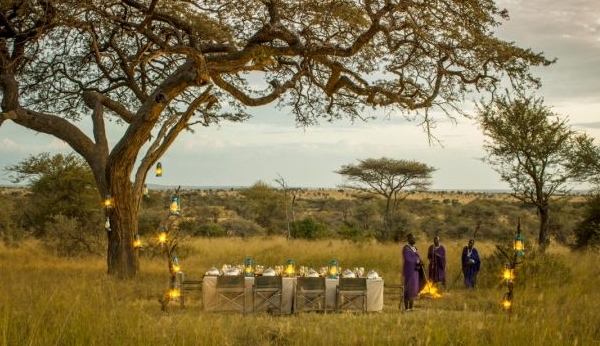 Safari weddings: Lake Manyara Serena Safari Lodge and Serengeti Serena Safari Lodge are popular choices for weddings in the wild. 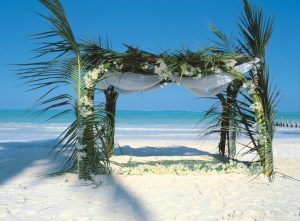 Beach weddings: Palms and Mtoni Marine in Zanzibar are some of the most ideal beach wedding venues in Tanzania. Your occupation and the religion/belief/faith you follow. Notarized copy of your valid passports. Notarized copy of your birth certificates. In case, one or both of the partners have been divorced, a certified copy of original proof of decree absolute. No impediment certificate acquired from your country. This certificate that must be duly notarized and certified in English that you are not married. Previously married and divorced individuals would have to provide the necessary divorce certification. But, if you have been widowed, you must provide the necessary death certificate. If you have had a name change by deed poll, you need to submit a certified copy of original proof. If you are aged younger than 18 years, you will need the consent of your parents or guardians given in the form of an affidavit by a notary public. Two passport sized photographs of the prospective bride and groom. Copies of a Certificate of Domicile with notarization. It is your day, so why not take the opportunity and break away from the rigors of conventional wedding rules? What a joy it would be to make your vows and transition from single people to a married couple in some of the best locations on the planet. Of course, you can’t just fly to Tanzania and exchange rings and vows, right? To make sure everything is properly laid out and organized, you need a good Destination Management Company! A DMC can guarantee the most personalized, bespoke and dreamy holiday that’s truly enjoyable for the couple. A DMC will be able to leverage lower prices by using their large purchasing power to negotiate for preferential rates with local vendors and suppliers. A DMC provides a local face to engage all concerned such as venues, vendors etc and also ensures smooth continuity of workflows. A DMC is an expert when it comes to dealing with local suppliers and ensuring that everything is organized. A DMC has the knowledge of venues and local partners. We know all venues in depth and know what is possible to do as well as what is not. A DMC can attend to last-minute requests efficiently as we known our local partners very well, and can easily find quick solutions. A DMC has a lot of experience organizing weddings and other special ceremonies and knows Tanzania’s every nook and cranny, guaranteeing an unforgettable event and a stupendous five-star service. 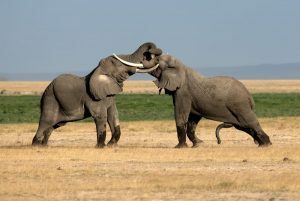 A DMC can not only help you plan your wedding in Tanzania but your honeymoon as well! Ready to plan your destination wedding? Contact African DMC today! Previous postThe Great Migration Explained: Which Month is the Best to See Them?